The Mark Wahlberg Foundation, which is officially named the Mark Wahlberg Youth Foundation, is a charitable organization with the important mission of helping inner city youth succeed and thrive in a positive environment. 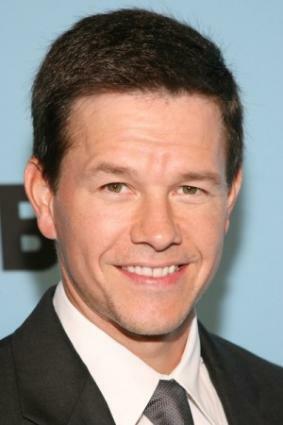 Mark Wahlberg, the famous actor and former rap artist, started the foundation in May of 2001. Wahlberg wants all children to have a nurturing environment and the support they need to succeed so that they can leave the streets and enjoy brighter futures. The foundation provides a way to make progress toward that goal. Long before starting the foundation, Wahlberg became an adamant supporter of the Boys and Girls Clubs, because he had been a member of the group as a child. This is just one of the programs that the Wahlberg foundation now funds. In line with Wahlberg's mission, the Boys and Girls Clubs provide after school programs for children who might otherwise be seduced by the violence and drug activity that often takes place in their neighborhoods. While the Mark Wahlberg Foundation doesn't create projects on its own, this charity provides funding for other organizations that work to further the types of causes it focuses on. Organizations may be eligible for a grant from the Mark Wahlberg Foundation if they have a project planned that will improve the lives of young people in areas that need it most.Potential fund recipients are encouraged to submit a grant pre-application describing their organization's mission and a brief paragraph in regards to the proposed project. Some examples of projects that are likely to get funded are turning a vacant lot into a ballpark, starting a tutoring program for at risk students, or providing computers to low income families to give their kids a way to do their homework or research projects for school. The charity supports projects throughout the United States, but does not appear to fund activities outside of the country. Organizations are welcome to submit pre-applications at any time of year. They will hear back shortly if they are invited to continue with the process. There are a few ways ways to assist the foundation with its mission. You can make a donation with a credit card, through PayPal or by sending a check, payable to the Mark Wahlberg Youth Foundation, to Cortina Business Management; P.O. Box 610287; Newton, MA 02461. Donations are tax deductible due to the 501 (c)(3) nature of the organization. The foundation also provides interested volunteers with an opportunity to sign up to become a mentor for a child who needs one, especially a child who lives in the sometimes rough environment of the inner city. As a mentor, you will be able to serve as a role model to a child that may not have any other positive influences in his or her life at the moment. While the foundation itself does not have a mentoring program, it can match you with another program that does, such as the YMCA. If you'd like to learn more about what the foundation does and how you can volunteer to assist with events, you can sign up for the email newsletter. The foundation also holds periodic fundraisers. You will be informed of these as well. All you have to do is provide your name and email address on the online form.